Meet Brazilian Jiu-jitsu, no gi grappling, self-defense, wrestling, CrossFit and more at the Budo Beach Party. A benefit for underprivileged children interested in martial arts, the Budo Beach Party introduces a variety of martial arts to athletes of all levels and ages. The Budo Beach Party begins to introduce the elements of self-control, self-discipline, and strength of body, mind and character through martial arts. The party is the perfect opportunity for novice athletes, elite athletes, men, women and children curious about the martial arts to get a taste of the different styles. 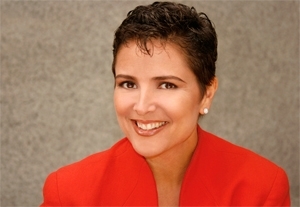 Three classrooms will feature half hour classes in a variety of arts. Participants will learn new skills and gain a better idea of the martial art that is right for them! Leveraging years of experience from martial arts and fitness specialists, the event is also a chance for the martial arts community to grow and give back to the community. The money raised from this event will benefit underprivileged children – helping them afford equipment and tournament fees, and helping provide them access to athletics and martial arts. By joining us at the Budo Beach Party, you will help these children grow in a positive and productive environment. You will also discover a new inspiration for your own life! 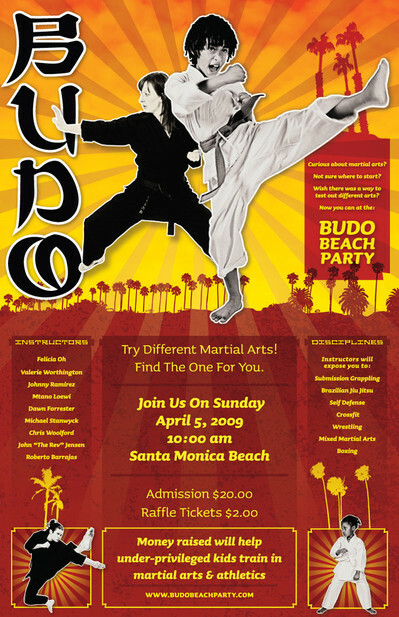 The Budo Beach Party is being held this Sunday, April 5th, 10am, at the Santa Monica Beach. For more information on the different classes, instructors and raffle prizes being offered at the event, visit the Budo Beach Party website and crossfit LA. Please let me know about the next edititon. Sounds interesting!